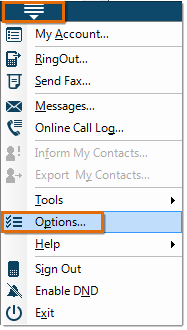 Click the Menu drop-down list and select Options. 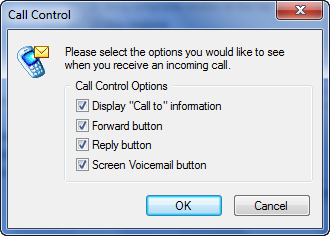 Click Calls, then select Call Control. 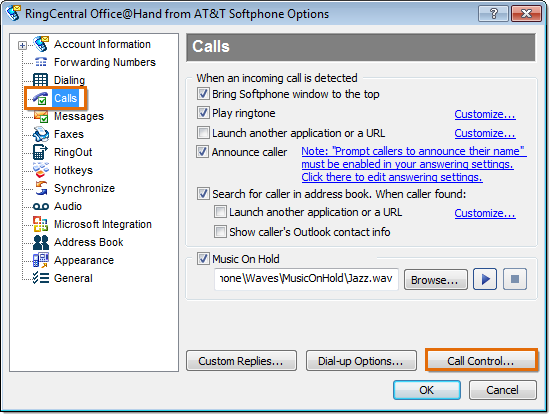 Select which Softphone Option you would like to appear when there is an incoming call by clicking the designated check box and click OK.